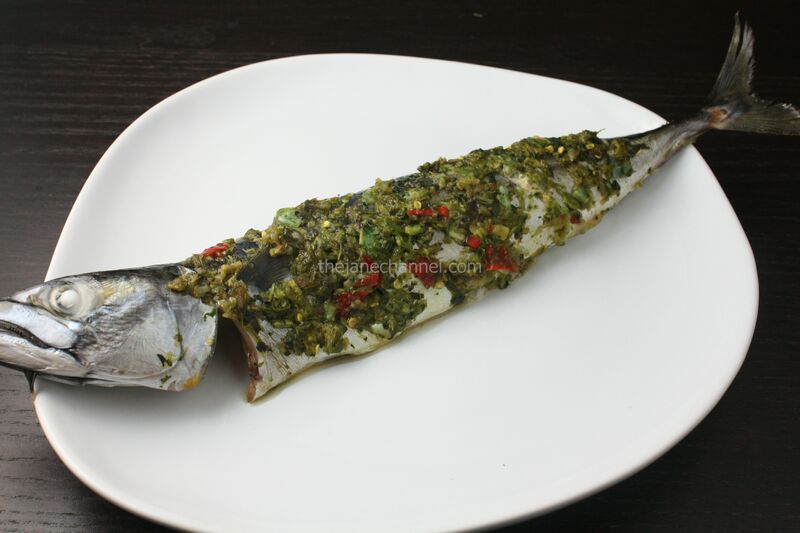 If the taste of Sambal Belacan is too strong for you, here’s an alternate recipe for fish that is just as good. I also opted to use a whole mackerel instead of fish fillet for this dish. As is typical of southeast Asian cuisine, the key to the dish is to use a multitude of spices and condiments to make the dish both taste and smell good. 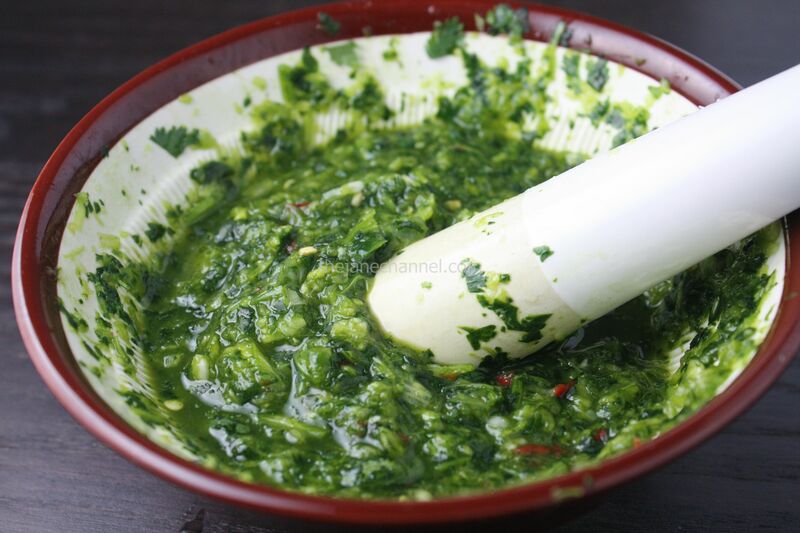 Heat the oven to 400 F Using a food processor or pestle and mortar, process or crush the garlic, chillies, ginger, cilantro and salt until fine. Add the sugar, fish sauce and lime juice and mix until it forms a paste. Rinse and dry the fish and cut three slashes into each side. Brush each side with the paste. 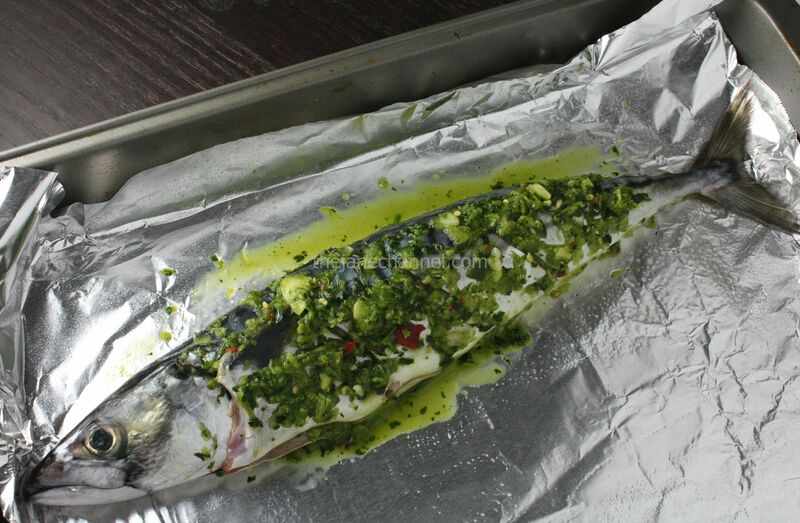 Place the fish on a baking tray, drizzle with a little oil, add the lime halves to the tray and bake for 15-20 minutes, or until the flesh is cooked. Serve with steamed rice and baby spinach leaves.